The poem, “Barbara Freitchie” here and at the image link. REMINISCENCES OF THE DASHING BORDER WARRIOR. How the “Good Quaker Poet” Cheated a Quantrell Woman Out of Glory and Fame. Quantrell’s Escape to Texas After the War and His Refuge in Hunt County — Uncertainty as to His Death. But spare your country’s flag!” (she said). It was Byron who defined military glory as a going to the wars, getting killed, and having your name misspelled in the Gazette. So Mrs. Quantrell and her little daughter, after having the stars and stripes cut from their hand, suffered the melancholy injustice of seeing the valorous feat ascribed to a helpless old woman who lived a block and a half away, out of sight of the procession, and who was so deaf and blind that she could not have told the boom of a cannon from the blow of a horn, or the starry emblem of the Union from a striped bandanna. “I’ll tell you the exact particulars,” said Mr. Walker, “and they have never before been correctly given. I have never given my account of that affair. None of the versions heretofore published are accurate. In the first place, there was none of the poetic incidents mentioned by Whittier. There was no window-sill, and no old woman about it. Mrs. Mary A. Quantrell was at that time a woman of ?2, [32 ot 52] black-haired, and though she did become my mother-in-law afterward, I must say that she was very pretty. Her husband was then at work as a compositer on the National Intelligencer, in this city, and Mrs. Quantrell was living in Frederick with her children. *Interesting note: On the census, A.R. Quantrill (Archibald) is listed as being one of the following: deaf, dumb, blind, insane, pauper or convict. It doesn’t specify, just has a check in the box. Mr. Walker expressed his indignation that his mother-in-law should have been robbed of the credit of this patriotic performance. He gave a diagram of hte streets in that portion of Frederick, abowing that Barbara Freitche did not live on Jackson’s line of march, that her house was a block and a half away around the corner, and so situated that she could not have gotten a sight of the Confederates without leaving her premises; that the good old dame never claimed the honor of having waved a flag on that day; and that all Frederick knew that it was Mrs. Mary A. Quantrell, and not Barbara Freitche, who should have been immortalized in verse by the Quaker poet laureate. The Quantrell family are now in possession of three letters from Whittier acknowledging his mistake and the injustice that had been done the real heroine, or rather the two heroines, as it would seem that the little Virgie was as much entitled to a niche in the temple of fame as her patriotic mother. These letters Mr. Walker offered to show your correspondent if he would accompany him to his home. In one of them Mr. Whittier says he derived his information as to Barbara Freitche from Mrs. E.D.N. Southworth, the manufacturer of sensational literature, who wrote him a letter detailing the incident and suggesting that it afforded material for a masterful poem; whereupon he sat down and evolved the thrilling story of the nonagenarian dame who had planted the stars and the stripes in the face of rebel invaders. Mr. Whittier admits that Mrs. Southworth made a mistake but says the poem has become so “widespread” that a correction of the name would be impossible. The Quantrells evidently failed to appreciate the force of Mr. Whittier’s logic, as they are unable to see how it is too late to correct such an egregious blunder. Mrs. Quantrell was for several years a teacher in Frederick, and was a lady of unusual accomplishments. She was a frequent contributor to the press, the York (Pa.) Evening Herald, having printed many of her poems and other literary efforts. She was a Miss Lands [should be Sands], whose brother, George W. Lands [Sands], was a member of the Maryland legislature, and a United States collector of internal revenue by appointment of President Lincoln, and was succeeded in that office by the now Senator Gorman. The trouble of Collector Lands were notorious a few years ago. The government claimed that he was in arrears to the extent of $14,000, his property was seized and sold to satisfy the deficit, and his bondsmen were called upon to pay an unsatisfied balance. Lands always asserted that he was the victim of injustice, and Collector Gorman, who succeeded him, bore testimony that the books of the office showed that the shoe was on the other foot, and that the government really owed him. Four or five years ago a bill was introduced reciting the wrong that had been done Lands and providing for his relief, but Senator Ben Hill and others violently opposed the measure and it was slaughtered in the Senate. For which the Lands [Sands] and the Quantrells do not hold the name of Ben Hill in grateful memory. Mrs. Quantrell died about three years ago. It is said that she always felt keenly the injustice that had been done her by Whittier. She was proud and ambitious, just the sort of woman who yearned for the glory of posthumous fame. Her niece and namesake, Mary A. Quantrell, is now a clerk in the treasury department. Her daughter and co-heroine, now Mrs. Perry Brown, also living here, has inherited her mother’s talent and has a decided literary turn. It is a little singular that a family which furnished such an exponent of the loyal sentiment of the country should also have supplied a champion of the confederate cause whose very name carried with it terror and consternation. 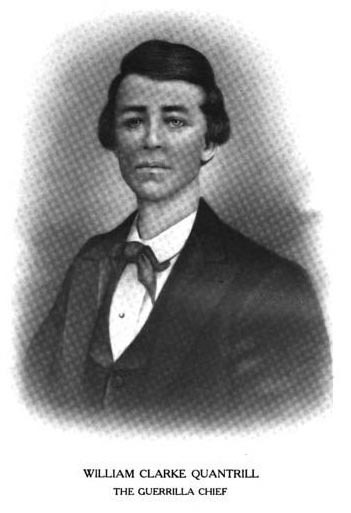 John Quantrell, the famous guerilla, was a nephew of Archibald Quantrell, the husband of Mary A., whom Whittier should have immortalized, but did not. The Quantrells belonged in Hagerstown, Md., and were generally noted for their intelligence and bravery. Archibald’s brother James moved to Ohio at an early day, and settled in the Monongahela valley, where he became a college professor. His son John was born there, and at the beginning of the war was teaching school at Canaldover, on the Monongahela. A flash through the crack was the response to this, and the leader fell dead on the step. Then there was a rush of the crowd for the door, but a second flash and the dying shriek of another leader caused the mob to fall back. The men who carried the tar and the feathers had fallen at the first two shots. Before the crowd had began to recover from the confusion into which it had been thrown by these tragedies there was a third flash at the crack, and another man jumped high into the air and fell dead with a groan. Then a panic seized the mob, and in a moment every intruder had disappeared in the darkness, leaving their three dead comrades in the front yard. An hour later Quantrell was ten miles away, mounted on his magnificent black horse, who bore him at a sweeping gallop toward the Ohio river. A few months later, at the head of a band of 100 desperadoes, he fell upon an encamped federal regiment and annihilated it, and his name speedily became the synonym for cruel and remorseless warfare. Like the James and Younger boys, Quantrell’s effectiveness as a guerrilla arose from the extraordinary accuracy of his aim. 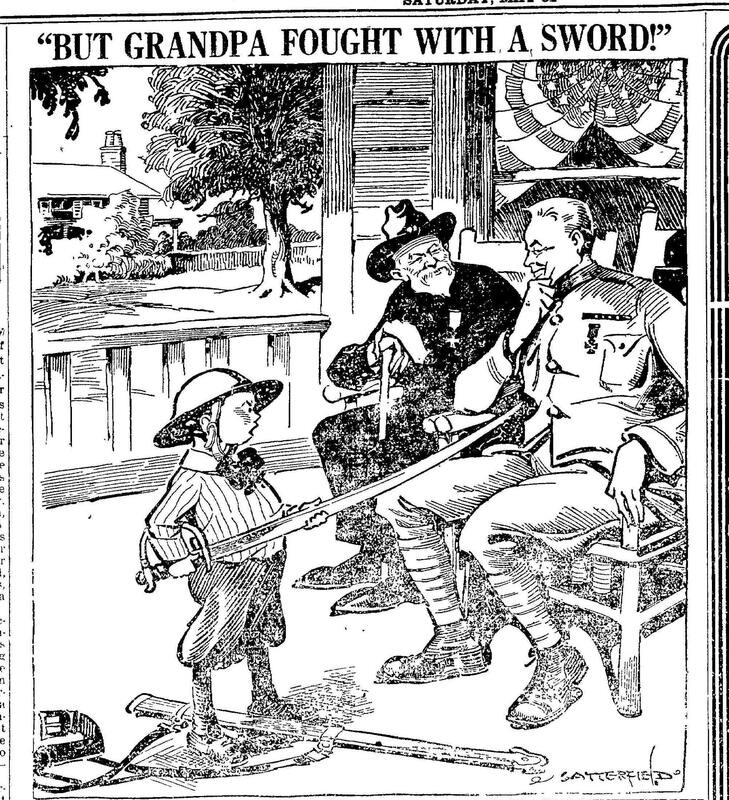 He used a Sharp’s rifle, which will kill a man a mile away if the ball hits in the right place. It is said that on the day of the battle of Oak Hill, in Missouri, Quantrell stationed himself on the branches of a tree which afforded him a full view of the federal line, 1400 yards away. In two hours he had picked off thirty-eight men, so perfect were his aim and nerve. For a long time Quantrell’s ambition was to lead a raid through Ohio, and he was particularly anxious to pay a visit to his old friends at Canaldover, but the confederate officials declined to approve a movement which afterward proved so disastrous under the leadership of John Morgan. More or less mystery surrounds the wanderings and fate of Quantrell after the war. The end of the war found him near Springfield, Mo., wounded in both legs and the right shoulder. There was a price on his head, and his friends did not dare to let the authorities know who he was. He was hastily placed in a two-horse wagon and driven as rapidly as his condition would permit through Arkansas into Texas. He found a resting-place at the home of Mr. Imboden, in Hunt county; near the town of Greenville. Quantrell was in an almost dying condition when he reached Imboden’s house. Imboden was a Mason and so was Quantrell, and it is said that on this consideration the hunted guerilla was made comfortable and was furnished with the best surgical attention afforded in that country. During Quantrell’s stay at Imboden’s house he received remittance of money from St. Louis, raised by his followers who had settled in that city. In six weeks he had so improved that he was able to mount a horse and ride away from Imboden’s house. Since that time nothing has been definitely known of the terrible bushwhacker. It was said that he died in New Orleans, but his relatives here say that this is not certainly known. They believe he is dead, but do not positively know it. They are quite sure he is dead, chiefly because the character of his wounds was such that he could not have survived all these years. A curious illustration of the mutations of life is furnished in the fact that a man, once a daring young desperado in Western Missouri, who followed Quantrell through the entire way, and who, like all of Quantrell’s men, was noted for his savage fighting qualities, is now a patient, humdrum governance clerk in this city scantily supporting a family of eight children on the pay drawn from a fourth class place. He is a sealed book on his guerilla experience, though it is said his body is scarred with divers bullet holes. Moreover, he is a good loyal Republican, a little dried up old man, cadaverous and timid looking, and few people who know him suspect that he was once an active and redoubtable agent in the business of death. The Quantrell family, of Maryland, lays claim to several squares of public ground in Cincinnati, taking in a long strip of the river wharf. The claim is placed at $5,000,000 in value, and is now in the hands of Ben Butler for prosecution. Butler says the claim is a good one, and has made the Quantrells feel very hopeful about its final outcome. I think the John Quantrell in this article may have been William Clarke Quantrill. The article also states his father was James Quantrill, but the information I can find states his father was Thomas Quantrill, which is supported by the 1850 census record of Dover, OH, as it lists William C. Quantrill as a 13 year-old son of Thomas and Caroline. 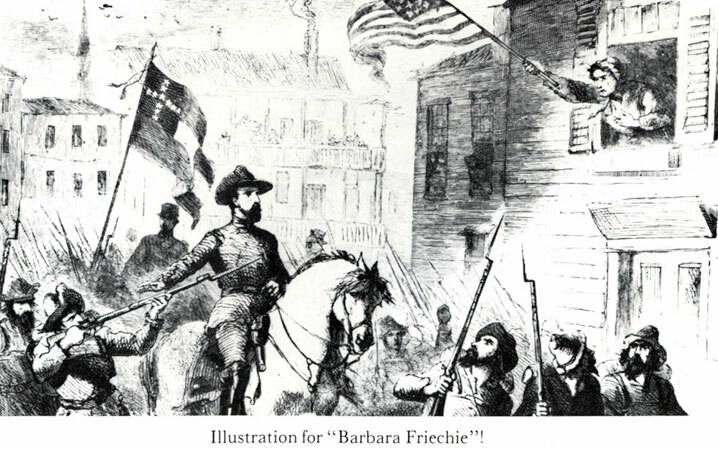 Page 22 Mary A. Quantrill is mentioned, and towards the bottom of page 23 it states that Barbara Freitche was actually a supporter of the confederacy, according to her family. Regarding the Mr. Imboden mentioned: It appears he may have been John D (or James) Imboden, a lawyer. 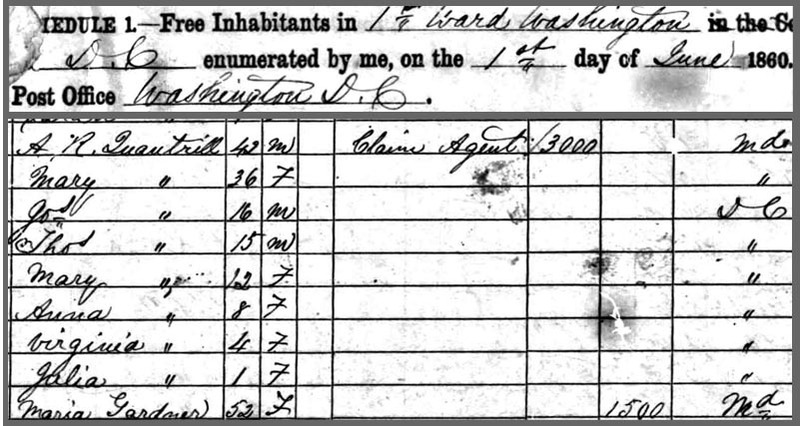 He had a son, Leonard (provided I have found the correct family), who is listed on the 1900 census, occupation: banker, but a prisoner in the county jail in Kansas City, MO. According to the book linked above, Quantrill died in KY (if I understood it correctly, as I only skimmed it) after being wounded and captured. Death chapter starts on page 480, the chapter before that deals with the last battle, where he was wounded. As the season is now approaching, when cases of drowning are most frequent, the following hints, which we have derived from the best authority, may be useful. As the rude attempts of well meaning persons, to restore suspended animation, from drowning, are often quite as likely to extinguish life as to restore it, we have thought that we could not better serve the cause of humanity, than by publishing a few plain directions, for the guidance of those bystanders, on such accidents, till the assistance of a physician could be procured. We are reminded of this duty, by a fact that occurred only a day or two ago, when the first act of the persons around, on fishing out the body, was to roll it in a barrel, a proceeding generally murderous in its consequences. 1. The atrocious custom of suspending the body by the heels, or rolling it in a barrel, is not to be thought of; but carefully and quickly remove the body to a warm and dry room. 2. Cut off the wet clothes of the patient; place him on a low bed, on his right side, with the head slightly raised, and gently separate the jaws, to allow the escape of any water in the mouth or nostrils. 3. Endeavor to restore heat slowly to the body, by applying a bottle filled with hot water to the pit of the stomach, hot bricks to the soles of the feet, and frictions, with hot flannels or a soft brush, over the whole body. 4. Tickle the lips and the nostrils with a feather, or some other light body, dipped in hartshorn. 5. If these attempts do not succeed in restoring some degree of animation, burn small pieces of paper over the pit of the stomach, and on the thighs and arms. 6. If sensibility be restored, give a tablespoonful of camphorated brandy; or cologne water, diluted with two parts of water, every five minutes, but be careful to avoid forcing the patient to drink, while there is much difficulty in swallowing. 7. If sensibility be not restored, and the face is red or purple, the limbs flexible and warm, bleed him, but do not resort to this remedy if the body is cold and stiff. 8. Tobacco is not to be used under any circumstances. I guess rolling them in salt as a remedy had already fallen by the wayside. 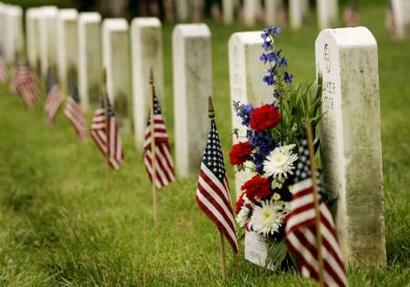 “On this Memorial Day we honor the living by honoring the dead., and a great nation — America — today breathes words of tribute for those who gave their lives on this and the other side of the water, in the late war, that Liberty, Justice and Right might prevail. “Those who died before leaving the training camps, occupy graves in local cemeteries, but a large portion of those who answered the call of their country in 1917 and 1918 sleep on the battlefields of the Argonne, Alsace and Juvigny. Their graves have been marked by the government and eventually cemeteries will be laid out for those whose relatives prefer that they sleep near where their heroic service cost them their lives, while others will be brought back to America for interment. “What I may say here today as a tribute to the honored dead of the late war, will soon be forgotten, but their deeds, their service to God and country, will live as one of the brightest pages in American history. “Today we can best picture the scenes at the first Memorial service after the Civil war, for this nation has again made an offering on the altar of country and in the cause of humanity. Words of mine cannot do full justice on an occasion like this. How I wish I could bring a message of their undying devotion to you today. What a consolation it would be to the fathers, mothers, wives and sweethearts if they buy knew how heroically these sons of America died, never faltering in the face of danger. Click image for larger/clearer image. A FITTING CELEBRATION — GENERAL SICKLES AND OTHER PROMINENT MEN HERE. Addresses at the National Cemetery by D.D. Woodmansee, of Cincinnati, General Sickles, General Daniel Butterfield and Others — The Blue and the Gray Represented. 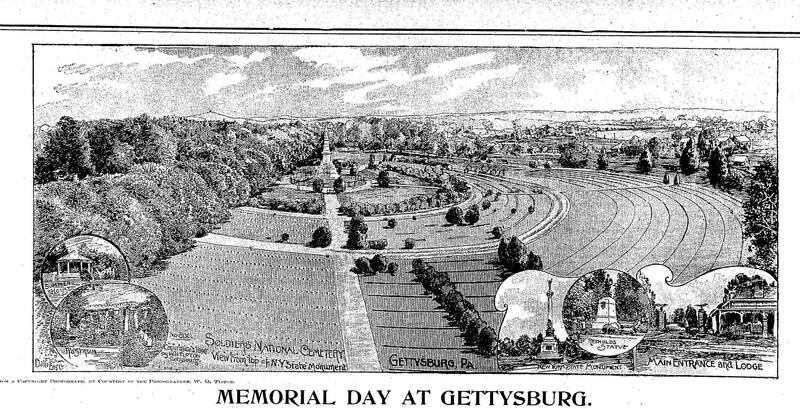 Memorial Day was observed last Tuesday at Gettysburg, the place of all other with which the memories of war are most closely associated, with fitting and impressive ceremonies. At least 6000 people from Washington, Baltimore, Harrisburg and the neighborhood attended the exercises and witnessed the strewing of flowers on the graves of the dead. 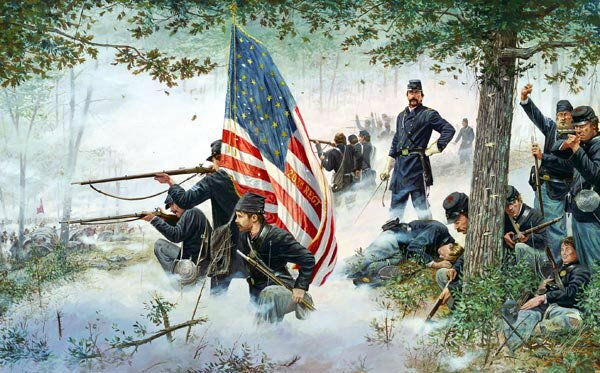 “Many are the lessons we have learned from the examples of the heroic dead who offered up their lives on this, the most historic battlefield of the Republic. “New-made graves in various parts of this fair land revive in us a desire to keep fresh the memories of those who have dared to die for our country. the active, busy men of the Republic who lived in the early sixties have passed away, and it is a new generation, unfamiliar with the conflicts of the Civil War, that must solve the problem of our future. It is possible that the battles and the sacrifices and the victories of the last year have been made necessary that we may work out our greater destiny. “The question as to whether the Philippines shall be ours is not the most important question before the American people. It is of a far greater concern to us to know whether this native land between the seas, which is already ours — this land which has been beautified and developed, and made the abode of the highest order of civilization — shall be preserved inviolate for generations to come. Manila, May 31. — Memorial Day was celebrated at Battery Knoll, where Scott’s guns were planted against the Filipino trenches in the first day’s fighting at Manila. Nearly 300 soldiers lie buried there on a bleak mound, surrounded by rice fields, rough boards marking the graves, which are arranged in five unbroken rows. Beyond these are Spanish block houses and bamboo hedges, which were torn by shells from the American guns. The few soldiers who could be spared from the trenches came to Battery Knoll, dusty and bronzed, bearing flowers with which to strew their comrades’ graves. A silk flag was placed over each mound. The day was as mild as a New England spring day. Just before sunset a few hundred Americans gathered in a circle around Battery Knoll in blue and brown uniforms. Among the soldiers were groups of American women, while brown-faced natives peered curiously at the unwonted spectacle from points near by. Are in our minds in month of May. Come back to memory in this May. These memories dear in month of May. God rest their souls this month of May. In memory sad — this month of May. In Heaven, at peace this month of May. From the New Haven Herald Aug. 10. NOBLE ACT. — As the Huntress packet, captain Beecher, was returning from New York last week, a child of Mr. Hoyle*, by some unlucky accident, fell overboard. The wind blew fresh, and the unhappy parents beheld in agony their only son on the brink of eternity, without one ray of hope that he could be rescued. In this distressing moment, while the vessel was passing rapidly through the water, the helmsman Joseph Stevens, sprang from the quarter deck, committed himself to the waves, with the noble resolution of saving the infant or perishing in the attempt. He seized the child as it was sinking, and held him above water to convince the wretched parents that he was still alive. The packet by this time had left them about half a mile, and was with much difficulty rounded to. Captain Beecher immediately manned his boat and pushed to their assistance. — Just as he reached them, poor Joe’s strength was exhausted, and he sunk, leaving the child to its fate. Capt. Beecher, with great presence of mind, as he seized the child with one hand, plunged the other under water to the arm-pit, and luckily succeeded in raising the sailor. Both Joe and the child were apparently dead. —- After rolling them in salt, and applying all the restoratives which are usually employed on such occasions, they both revived, and we are happy to state are doing well. The rich may boast of their charity, and princes their nobility; but never did any rich man perform a more disinterested act of benevolence — never did any prince achieve a more honorable one, than did this poor sailor, in restoring to the arms of its parents their only child, by snatching it from the grasp of death, at the risk of his own life. * Mr. Hoyle is recently from Notingham, England. Fortunately, this near tragedy had a happy ending. From the Osceola Independent, 14th inst. STARVATION AND DEATH AMONG OVERLAND EMIGRANTS. 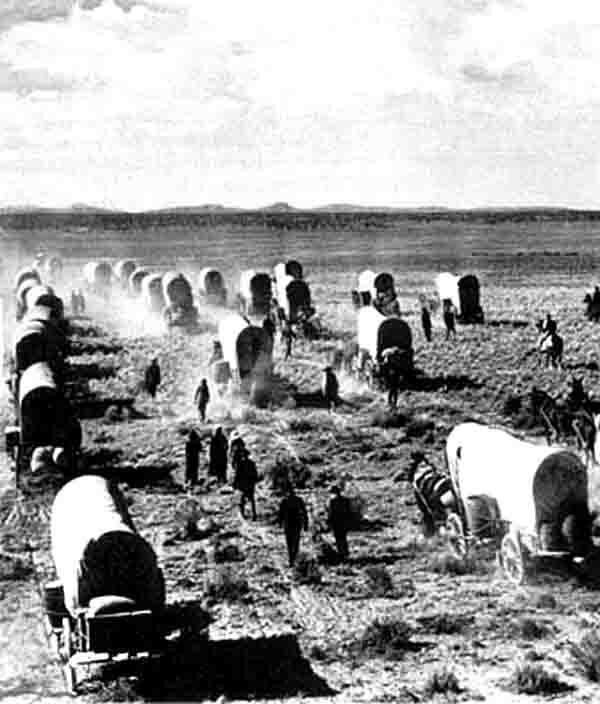 Emigrant Road, Monday, Sept. 30th, 1850. Mr. W.P. JOHNSON — Dear sir: Yours of the 4th of July, written at Clinton Mo., was taken out of the office at Sacramento City, and kindly forwarded to my by Mr. A. Blakely, and gave me the latest news I have received from your section of Missouri. Have just reached this point, after ten days journey up Humboldt river, where I found many persons without one pound of provisions, although four hundred miles from Sacramento City. And what makes their situation worse, they have suffered from starvation until they are so weak that they can scarcely walk. These people have been robbed by the Indians even, to their blankets although the nights are cold and chilly, and it requires two or three blankets to keep a man comfortable, yet many of these people have neither blankets or coats. The hostile Indians are very numerous, becoming very bold, and killing the emigrants daily. They conceal themselves in the thickets and ravines, and fire upon the emigrants as they pass; those on foot being too weak to carry their guns, fall an easy prey to the savages. The Indians have taken a great deal of stock from the emigrants, and are consequently well mounted; and by picking up the fire-arms thrown away by the weak and exhausted, they are also well armed, which makes them far more dangerous than they have been at any previous period. Many believe these Indians are headed and led on by white men, whose object is to secure the emigrant’s stock. Several families have disappeared, for which no account can be given who have either been killed by the Indians when off the road, or taken prisoners. From the best information I can get, there is yet between 100 and 200 families and probably 2,000 men in the most perfect state of destitution, far back on this route, without stock or provisions, and many of them without blankets or comfortable clothing. If the winter sets in early, I cannot see any possible chance for these people to cross the mountains. I have at my command 3,000 lbs of fat beef, and 3,000 lbs of flour, besides 30 mules and horses, which will answer for food; but the horses and mules are needed to transport the feeble women and helpless children over the mountains and across the deserts. I have fitted out an expedition, and will leave here to-night to relieve the sufferers on the Humboldt, and shall carry back flour and beef sufficient to enable 1,000 persons to cross the Desert. We have relieved emigrants from every State in the Union. — Those from the city of St. Louis have been the greatest sufferers. Then comes those from Ohio, Kentucky Tennessee, Indiana, Wisconsin, Michigan, Iowa and Missouri. — Probably fifty from New York and Pennsylvania have been relieved, three families from Louisiana, and about twenty men from Georgia, and from every State, more or less. I have with me Thomas Kinkade, of Benton Co., Mo., and Ewing Story and Washington Pond, of St. Clair Co., Mo., who have pledged their word of honor to remain with me on the east side of the mountains until the last emigrant has passed on, or has been called to a final account. I have duly considered the risk and reflected upon the consequences, and should I never reach Sacramento again, I shall at least die with the consolation of having attempted to discharge a painful duty to the suffering humanity under difficulties too great to be overcome. My respects to friends. William Waldo (1812 – 1881) was a candidate for Governor of California in 1853. He was born in Virginia, but spent most of his life in Missouri, where he was a merchant and steamboat captain. In 1849 he joined the gold rush to California at the head of a wagon train. In California the next year, reports arrived of impending starvation among numerous immigrants on the Nevada side of the Sierra Nevada mountains. Waldo put great effort into recruiting and delivering supplies for them, and became well known for his relief attempts. Stuff Alexander Hamilton said, according to author John F. Gordon. Jay Cooke vs. British Parliament. — During a late debate in the British Parliament a member stated that in England and Wales alone there were a million of paupers, and five hundred more on the verge of pauperism. 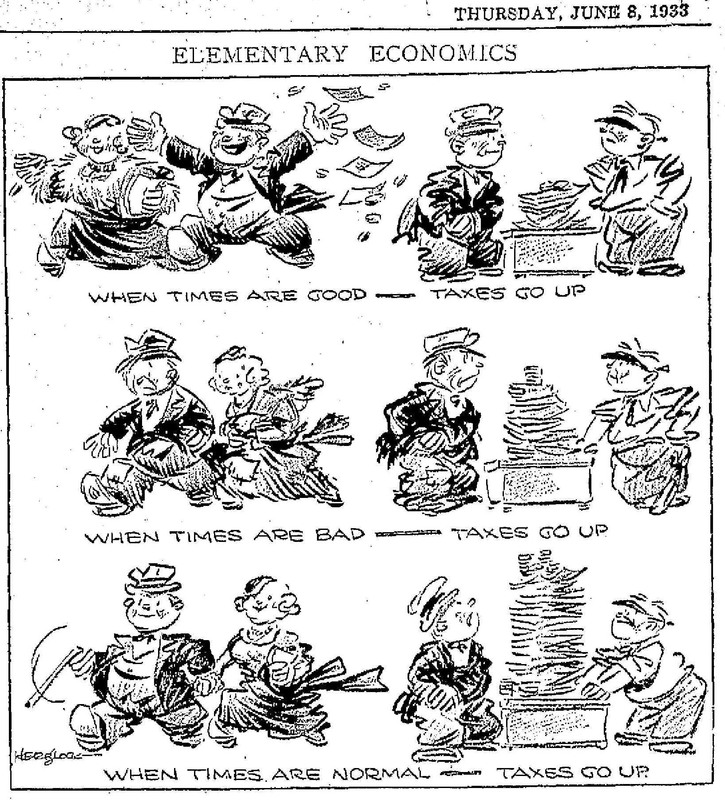 The heavy national debt and the high taxes necessary to meet the interest upon it were assigned as the cause. 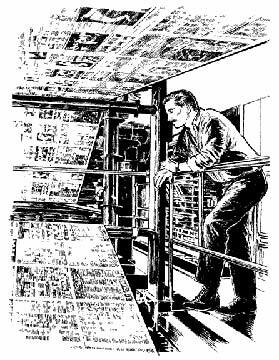 Printing press fell seven floors in Chicago. Perhaps it was printing something favoring high taxes.